NEW! 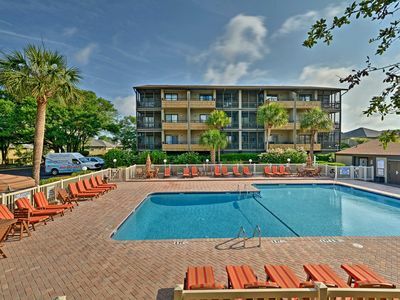 Beachside Myrtle Beach Condo w/ Pool Access! 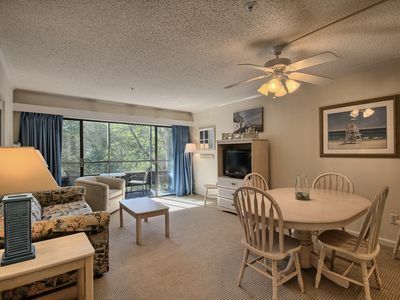 Bring your party of 6 to 'The SandDollar' at Mariner’s Cove, where you'll love having access to the beach and pool. 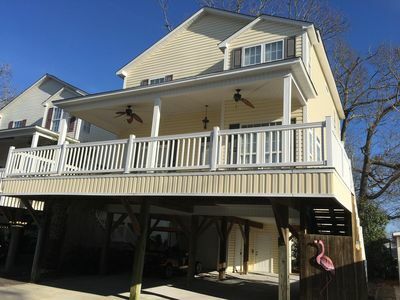 Relax on the 2-bedroom, 2-bathroom vacation rental home's enclosed porch and look out over the picturesque landscape. Grab a midday snack at famous Ocean Annie's Beach Bar before shopping at Tanger Outlet and finishing the day with sunset views over the marsh. 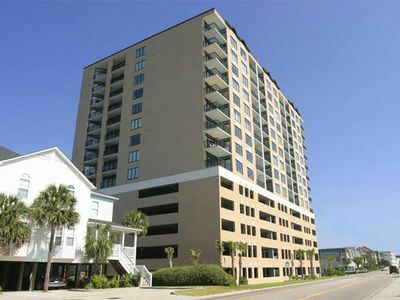 Go surfing, watch dolphins play, or ride cruiser bikes around the cute town of Myrtle Beach. 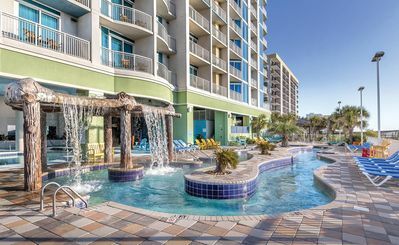 Drop your bags, slip into your swimsuits and go for a dip in the large community swimming pool or wiggle your toes in the Myrtle Beach sand! 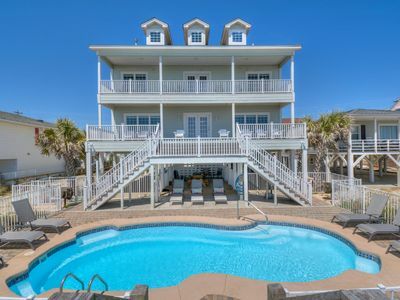 After you've gotten your first taste of the South Carolina sand and sun, head inside to unpack and explore the rest of your home-away-from-home. 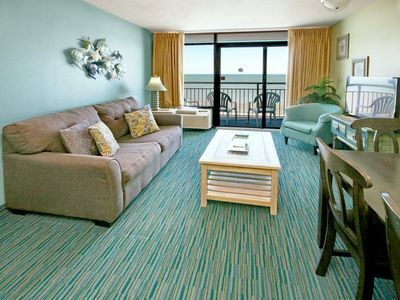 Plush sofas frame the bright living room, while nautical decor creates a warm, inviting atmosphere. Cuddle up with a good book, or watch a movie together on the flat-screen cable TV. Double doors lead out to the deck, where you can enjoy a morning cup of coffee or dinner outside with your crew. 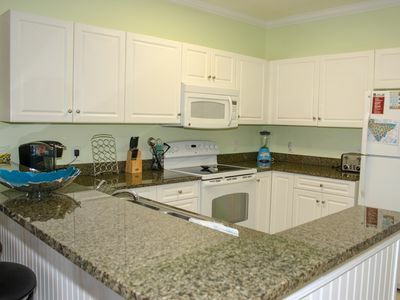 Whip up some scrambled eggs and pancakes in the fully equipped kitchen. Set up a breakfast buffet at the kitchen bar and sit together at the charming wood dining table for 4. After fueling up for a fun day, tidy up the kitchen and head out to the pool! A split-level patio frames the pool area, complete with community grills. Barbeque some ribs and dine on the patio. When you're ready to call it a night, throw your dirty clothes into the in-unit washer and dryer and take a shower in one of the 2 convenient full bathrooms. 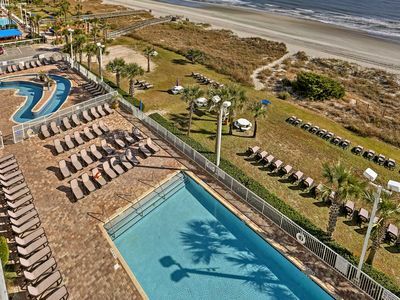 You'll fall asleep right away in the soft beds, waking ready for another relaxing, fun day in Myrtle Beach. 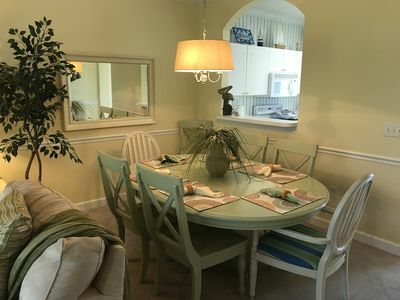 Rent cruiser bikes and ride to the charming town of Myrtle Beach, where you can fuel up with a latte and pastry at Boardwalk Coffee House or The Roasted Bean. Ride to the beach and splash in the warm Atlantic Ocean. 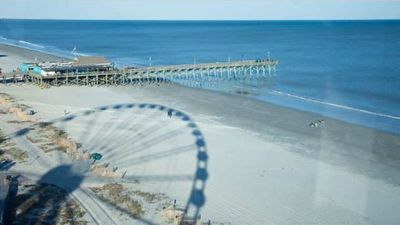 Watch dolphins play as you build sandcastles, or stroll the Myrtle Beach Boardwalk and Promenade. Your crew will love the thrilling rides at any of the numerous nearby water theme parks, like Wild Water & Wheels, Family Kingdom, and Shark Wake Park. Jump high at Rockin' Jump's huge trampoline park, or spend the night shopping, dining and watching live entertainment at Broadway at the Beach. Visit exotic animals at Myrtle Beach Safari and finish up with dinner at Calli Baker's Firehouse Bar & Grill or Flip Flops Bar and Grill. If you're in need of respite from the sun, visit the many museums and local attractions surrounding the property. Ripley's Aquarium, the Hollywood Wax Museum, and Wonderworks are tried-and-true fan favorites. Brookgreen Gardens and Huntington State Park are beautiful places to see more of the South Carolina landscape. 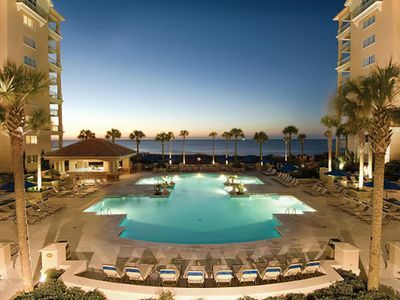 Myrtle Beach is home to numerous world-class golf courses. 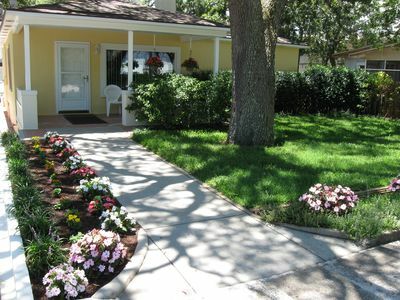 Let your resident golfer free to spend hours on the beautiful greens. Join them and practice that elusive hole-in-one swing! 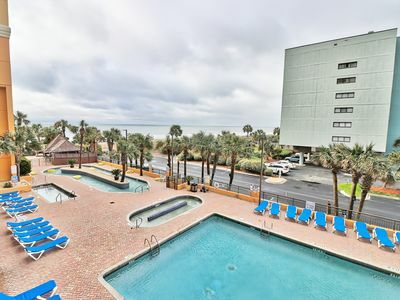 - Amenities include a fully equipped kitchen, flat-screen cable TV, DVD player, linens and towels, washer and dryer, central air conditioning, balcony, parking, grills, community pool, patio with outdoor seating, beach access, and more! 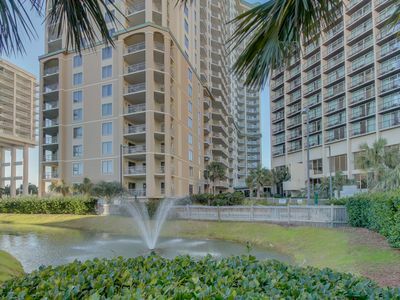 - Stunning Myrtle Beach location near the ocean with access to local museums, shopping, entertainment, restaurants, and more! 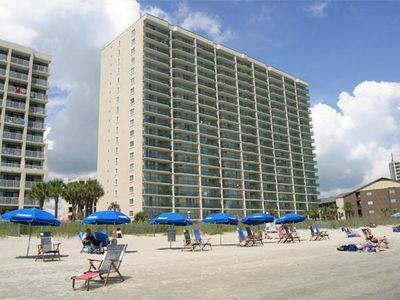 Myrtle Beach, SC: One Bedroom Ocean View with Pool, Lazy River, Beach & More! 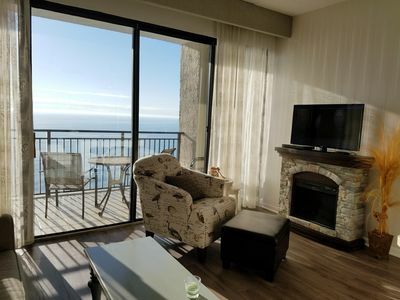 Refurbished in 2016 2 BR 2 Bath Oceanfront Condo Off-season Pricing! 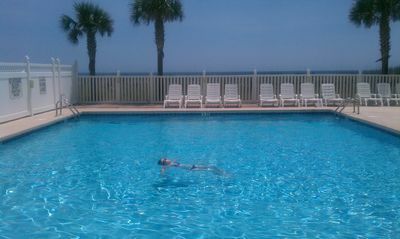 Large Oceanfront Pool! 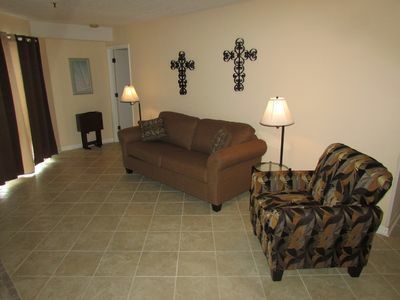 4 BR/3 BA Beautifully Decorated Corner Condo-Private! Ocean Front. One Bedroom Unit. Immaculate Condition. Full Size Appliances. 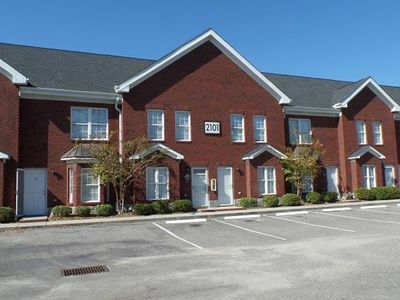 Beautiful 3 Bedroom 3 Bath Condo with lots of Amenities.